On Sardar Patel Marg near Willingdon Crescent in Delhi stands Gyarah Murti (11 Statues), an iconic sculpture exhibiting the spirit of historical Salt March that culminated in Civil Disobedience movement under the leadership of Mahatma Gandhi. The sculpture by Devi Prasad Roy Choudhary has ten common Indians from different walks of life, following different religions and professions, all led by Gandhi. The Salt March, also known as Dandi March, was initiated on March 12, 1930, to protest against the British government for levying heavy taxes on salt. The march that covered over 385 kilometres and took around 24 days to complete had 78 of Gandhiji’s trusted volunteers accompanying him. One of them, and the only Christian, was Titusji. In 1970, Titusji published The Bharat of My Dreams, a book that captures his hope for his beloved nation. He believed in the equality of all human beings and was committed to serve the poor and the downtrodden. 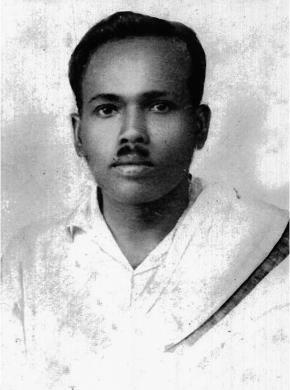 Thevarthundiyil Titus was born on February 18, 1905, in Maramon, Kerala. He completed Diploma in Dairy Management with distinction from Allahabad Agriculture Institute (now SHUATS). When he was offered job at the Sabarmati Ashram, he strode against conventional wisdom and took it. He was curious to meet with Gandhiji, and also heard an “inner voice” confirming his decision. Soon he joined Sabarmati Ashram as the caretaker of its ‘goshala,’ or dairy project. This new phase of life threw immense challenges at young Titus. Simplicity and austerity were written codes of the Ashram life. All the inmates of the Ashram were given only two pairs of clothes to wear and were expected to perform their own chores. They were also required to spin yarn on charkha for an hour a day. As young Titus settled in the routine of ashram life, he got used to the disciplined life, and even enjoyed spinning yarn. He became so close to Gandhiji that in 1925, on his way to the famous temple in Aranmula, Kerala, Bapu made it a point to visit his ashram-mate’s house. Bapu used to call him ‘Titusji’ and that’s what he has been known as since then. During the Salt March under Gandhiji, the discipline continued. In addition to walking 16 kilometres everyday, the marchers were required to fulfil their daily quota of spinning and were to mandatorily assemble for prayer. At the end of the march, Titusji was beaten up, arrested and imprisoned. In 1933, he got married to Anamma, whom he later converted to his convictions about nation-building through upliftment of poor and needy. Anamma not only adjusted to the difficult ashram life, but wholeheartedly supported Titusji in the good cause. Titusji, as Bapu used to call him, became so close to Gandhi that in 1925, on his way to the famous temple in Aranmula, Kerala, Gandhi made it a point to visit his ashram-mate’s house. In the same year, Gandhiji suddenly decided to dissolve the ashram, and asked Titusji to take care of the cattle. Ready to take Gandhiji at his word, he moved them to a nearby stable and stayed there himself. Again in the middle of 1935, when Gandhiji decided to handover the ashram property to Harijan Sevak Sangh, Titusji moved around several other parts of India, working in several dairy farms till he finally settled down in Bhopal. In 1970, Titusji published The Bharat of My Dreams, a book that captures his hope for his beloved nation. He believed in the equality of all human beings and strove to uplift the masses through the life-long commitment to serve the poor and the downtrodden. At the age of 75, Titusji died wearing khadi, a sign of protest during the struggle for Independence. He neither expected nor demanded a recognition from the government of India for his service to the nation. 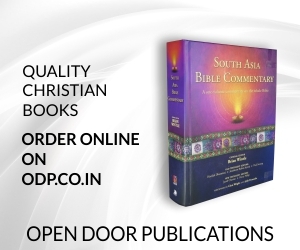 While the current conversation on nationalism continues to peddle the rhetoric that Christians have nothing to offer for the welfare of the nation, little deeper investigations into the life of Indian Christians such as Titusji offers us a different picture. It also reminds Christians of their commitment to serve the people of the nation they are part of, especially those on the fringes.